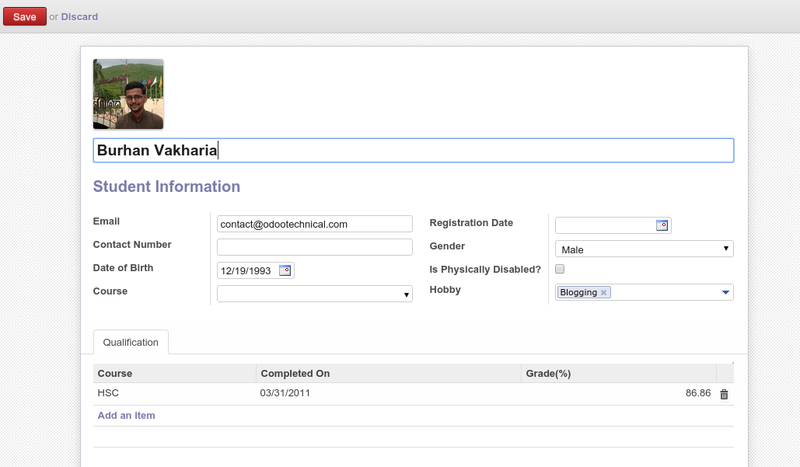 In this blog-post, you will learn how to create a Form View in an Odoo 8 / 9 / 10 / 11 / 12 module. What is Form View in Odoo? 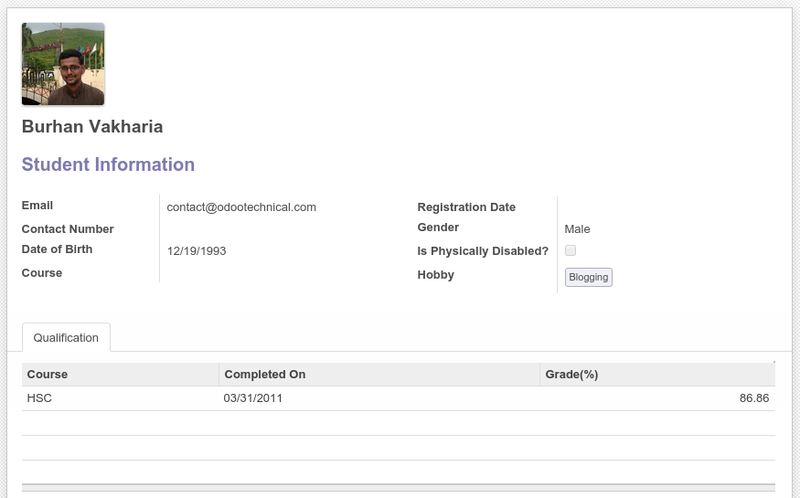 Form views are used to display the data from a single record. The root element of a form view is <form>. It consists of regular HTML with additional structural and semantic components. Earlier in my previous blog-post, I had created a Model to collect student’s information. Now I will create a Form View for the student model which will give it a User Interface from where entry can be created or edited. 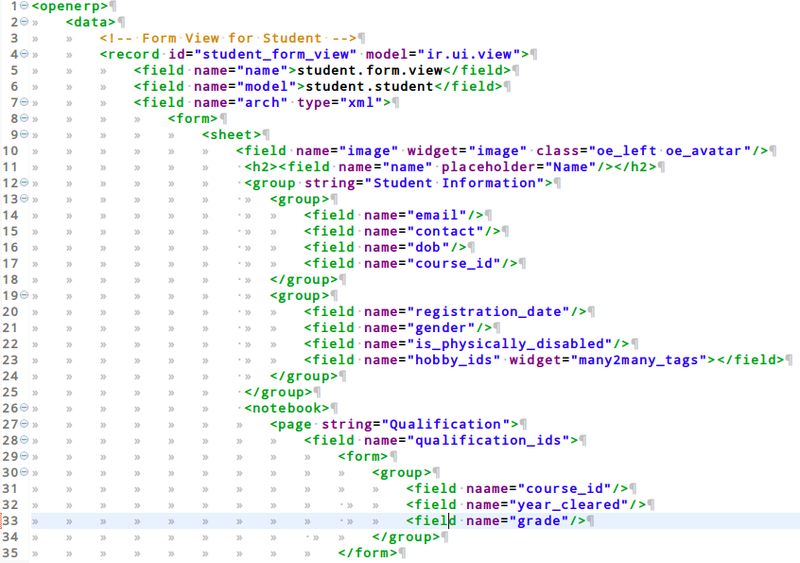 All views are stored in the database, in the ir.model.view model. To add a view in a module, we declare a <record> element describing the view in an XML file that will be loaded into the database when the module is installed. <group> is used to define column layouts in forms. By default, groups define 2 columns and most direct children of groups take a single column. <field> direct children of groups display a label by default, and the label and the field itself have a colspan of 1 each. <notebook> defines a tabbed section. Each tab is defined through a page child element. Hope you learned how to create a Form View in Odoo module, your reviews/comments/suggestions/doubts are most welcomed, please comment in the section below, and subscribe to the newsletter to receive timely future updates of this blog. 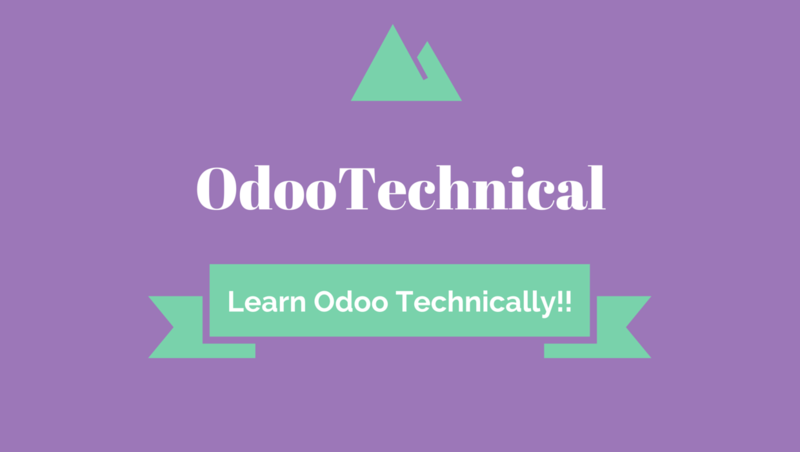 Now next, Learn how to create a Tree View in Odoo 8 to 12. Hi man, i have a question about how create a form in odoo with two models, it is possible ang how did it ? Hello Mauricioo, You cannot create a form view in Odoo with two models. It means you cannot add fields from two different models in one form view. You cannot do this unless they have a ‘_inherits’ relationship like res.partner and res.users.